Magento is one of the world’s leading ecommerce platforms, it creates an amazing consumer experience on desktop, mobile, tablet and more. Giving merchants scalability, flexibility, omnichannel firepower and high performance. With an open-source platform as powerful as Magento, it pays to know your stuff to get the most out of it . At 8 Wire Digital (Auckland, NZ), we’ve got our Magento clients covered with miles of experience working with Magento community edition, Magento enterprise edition, and now Magento 2. If you’re considering a Magento website as an option for your company, or if you’re looking to get some support for your current website. You can rest-assured that our knowledge with the platform ensures we provide the best possible guidance for your business. We believe in choosing the right platform for your business and when it comes to those who need enterprise-level shopping cart solutions, we put Magento at the top of the heap. There are so many reasons it excels above and beyond what other platforms can provide. Below are just a few things we think make it so good. 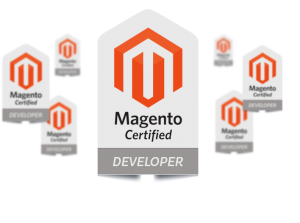 Magento is a global platform supported by hundreds of Magento developers and partners worldwide. Because of this, you benefit as there is a whole community of developers in New Zealand and around the globe that can work with your website, so you don’t have to pin yourself down to some software only one company works with or develops. What would happen if they go bust? So would your website. Having a strong Magento community also means that the knowledge base that’s accessible on the web is second to none.